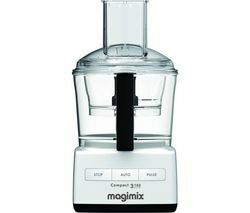 Magimix brought us the first multifunction food processor more than 40 years ago. At the heart of serious French cuisine ever since, today’s Magimix food processor range is designed to tackle the most demanding culinary tasks easily and quietly. Magimix food processors are made to make life simpler in the kitchen. Most of the Magimix range has its roots in professional products designed for commercial use by serious chefs – this means they’re better built, work well, and last longer. 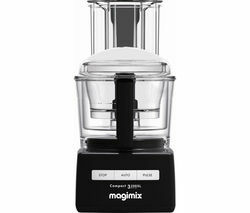 Magimix food processors and accessories can help with anything, including whisking, pureeing, dicing, chopping, shredding, dough kneading, blending, with multi-bowl functionality and more. Choose from a range of capacities, from the handy little compact Mini Chopper to the premium 3.7 litre models. Fitted with commercial grade induction motors, Magimix food processors are incredibly quiet while delivering serious processing power. BlenderMix attachments give you the smoothest of soups, smoothies and milkshakes, and all food processor parts are dishwasher safe, for fast and easy cleaning convenience. Opening up a world of culinary possibilities and making light work of even the most demanding tasks, Magimix food processors deliver professional results in your home kitchen.